My first review is dedicated to the beers encountered at a timely and impressive event:The Winter Beers and Ice Wines event that took place during the weekend of the 17th/18th. Not only did it coincide with our visit nicely, my darling wife had the foresight to suggest we book some VIP tickets. As such, we got the deluxe experience! In addition to sampling many, many beers from the Quebec side of the border, we got a taste of some true culinary delights in an upscale atmosphere. It all went down at the Maison du Citoyen in Hull, Quebec, and here’s what I thought of what I tasted, by brand and name. Located in Gatineau, Quebec, this brewery was the only one at the tasting that had its own booth staffed by its own people. And given the fact that the sample glasses were also stamped with their company logo, I got the distinct impression they were hosting the thing. All of their brews were made in accordance with traditional European and (more specifically) Belgian brewing, at least the ones I tried. As such, they were strong, heavy, dark and deep! Not to mention flavorful. Well, that is all for now. 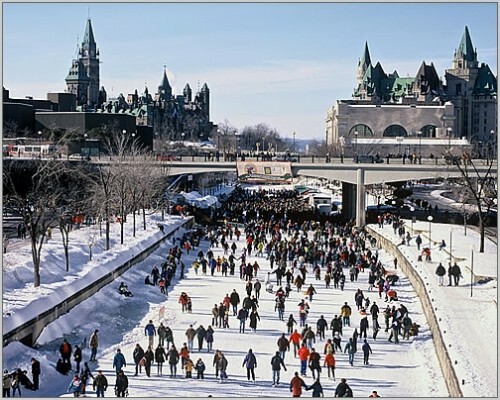 Like I said, there were many drinking experiences during my Ottawa trip, and it will take some time to do it all justice. Lord knows I spent plenty of time this trip with a beer in one hand and my PDA in the other, constantly drinking and typing, hoping to get all my impressions down so I could do faithful reviews later. Coming up next, the Mill Street Brewpub, a newly opened branch of the Toronto-based craft brewery! “Waes Hail!” Translated from Old English, it means good health. In modern times, its an old pagan festival that celebrates the apple harvest of the year and ensures a good harvest for the next year. The traditions vary from region to region, but in general, the celebrations involve food, singing, a mummer’s play, and the drinking of cider. LOTS of cider! And wouldn’t you know it? Last year my wife and I chanced upon a place that carries on in this Old English tradition, and it’s within biking distance (which is handy!) 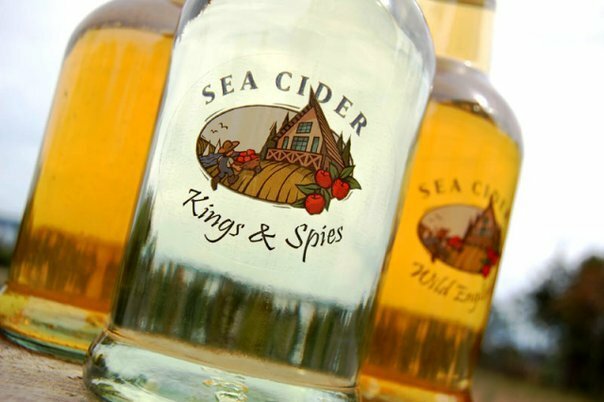 It’s called the Sea Cider cidery, and this past weekend, we went back for seconds. And just like last year, we enjoyed ourselves big time! So I thought it was about time I did a review of their cider lineup. That and the fact that we’ve been living within biking distance from them for the last two years! Pommeau: One of my personal favorites, probably because of its strength and challenging nature. Based on traditional Normandy-style cider that dates from the 1600’s, this aperitif cider is crafted from hand-pressed Snow apples. The result is a potent, delicious cider that is reminiscent of apple brandy and icewine. At 18% alc/vol, it is their strongest fare, but still deliciously sweet. A dangerous combination if ever there was one! 5/5! Pomana: Named after the Roman Goddess of Apples, this cider is the result of freezing, then crushing crab apples, then allowing them to ferment. And the result is nothing short of delicious! Fans of icewine beware, this dessert-style cider will ween you off of grapes for certain! And like your stronger ice wines, it weighs in at a powerful 16% alc/vol. Delicious when served over ice cream, or just on its own, especially when chilled. 5/5! Some varieties I have (regrettably) yet to try: Flagship, the eponymously named mainstay of their cider fleet. Wassail, a special release for this year’s festival. I will get on them this week or next, come hell, high-water or hangover! Hello again! Boy, its been awhile since I reviewed any beer, which is surprising considering that I haven’t exactly been slowing down with the sampling lately. In fact, just the other week-end, my darling girl and I went to an IPA/cider/wine sampling party. Our generous hosts arranged the whole thing, with finger foods, multiple selections of each, and we even graded them and gave out prizes to whomever brought the winning selection. Guess who won the award for best IPA? Do I need to ask? I mean, c’mon, read the title! Beer Snob, that’s who! And my entries were two favorites, Spinnakers IPA and Howe Sound Devil’s Elbow IPA. Both excellent ales in their own right, one lighter and infinitely drinkable, suitable for food pairing and the uninitiated; the other stronger and hoppier, floral in both taste and aroma and best when enjoyed on its own. But there were other vintages that I think need some honorable mention. For instance, in terms of cider, we were treated to a series of local favorites, many of which came from either Merridale Cidery or Sea Cider. From the former, the Traditional Cider was the entry, and it was a big hit. This dry, smooth cider is a fine example of… well, traditional English cider! Not much more to say. And from the latter cidery, the party guests were treated to a taste of Pippins. This is a more sweet and scrumpy cider, named after the principal type of apple used to make it. I don’t believe this one won Best Cider, but dammit it should have! What didn’t make it in the lineup, but very well could have had my darling and I been able to show some restraint, was Sea Cider’s seasonal cider known eponymously as Perry. Like all perry ciders, its made from pears rather than apples, and the result in this case is a very dry, effervescent drink that’s perfect when paired with snacking foods like sharp cheeses and salty treats. More to come, but first, I must review the names of some recently sampled Kolsch’s and Bitters. See ya soon! FYI: I never did get around to reviewing Kolsch and bitters. What’s more, I should definitely dedicate some time to the wonderful Sea Cider plant and its products. That Wassail (an Old English tradition, wæs hæil meaning “good health”) was a good time! Oh well, something to do in the future!